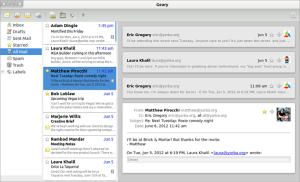 Elementary OS is the latest darling for the Linux community at large and with some good reason. It isn’t that Elementary OS is The. Best. Distro. Ever. In fact being only version 0.2 I doubt its own authors would try to make that claim. It does however bring something poorly needed to the Linux desktop – application focus. Most distributions are put together in such a way as to make sure it works well enough for everyone that will end up using it. This is an admirable goal but one that often ends up falling short of greatness. Elementary OS seems to take a different approach, one that focuses on selecting applications that do the basics extremely well even if they don’t support all of those extra features. 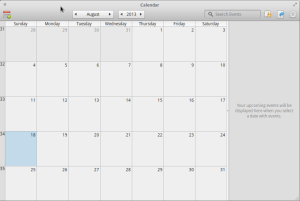 Take the aptly named (Maya) Calendar application. You know what it does? 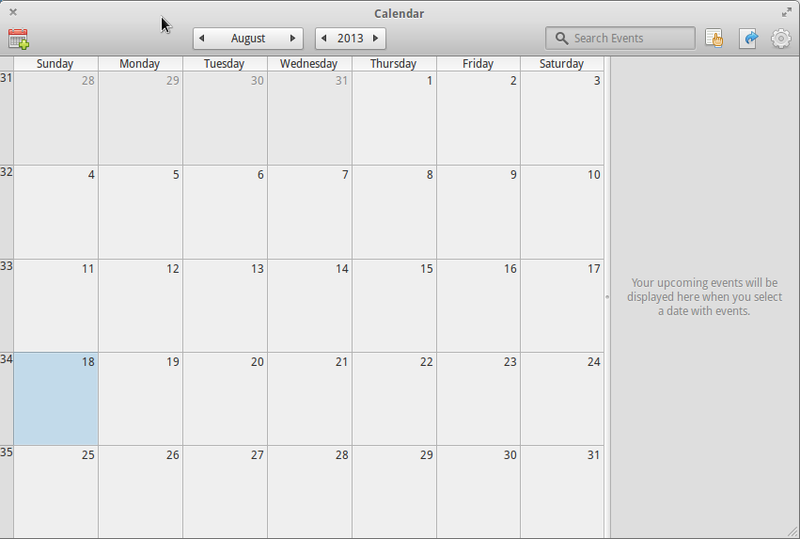 That’s right, calendar things. Yeah, a calendar. What else were you expecting? 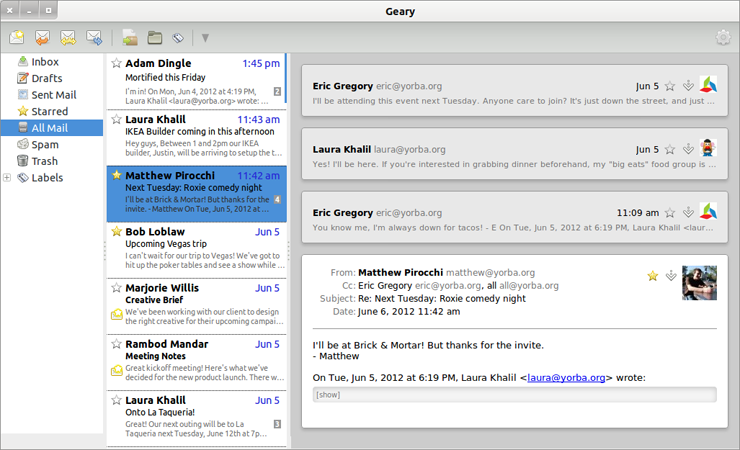 Or the Geary e-mail client, another example of a beautiful application that just does the basics. So what if it doesn’t have all of the plugins that an application like Thunderbird does? It still lets you read and send e-mail in style. 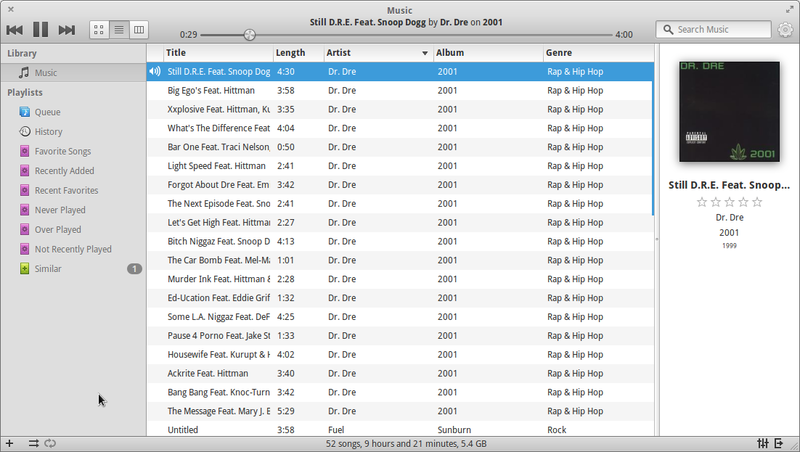 Probably the best example of how far this refinement goes is in the music application Noise. 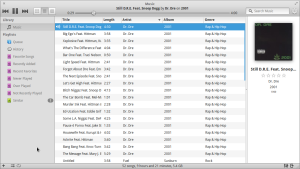 Noise looks a lot like your standard iTunes-ish media player but that familiarity betrays the simplicity that Noise brings. As you may have guessed by now, it simply plays music and plays it well. But what about feature X? OK I understand that this approach to application development isn’t for everyone. In fact it is something that larger players, such as Apple, get called out over all the time over. Personally though I think there is a fine balance between streamlined simplicity and refinement. The Linux desktop has come a long way in the past few years but one thing that is still missing from a large portion of it is that refined user experience that you do get with something like an Apple product, or the applications selected for inclusion in Elementary OS. Too often open source projects happily jump ahead with new feature development long before the existing feature set is refined. To be clear I don’t blame them, programming new exciting features is always more fun than fixing the old broken or cumbersome ones, although this is definitely one area where improvements could be made. Perhaps other projects can (or will) take the approach that Elementary has and dedicate one release, every so often, to making these refinements reality. I’m thinking something like Ubuntu’s One Hundred Paper Cuts but on a smaller scale. In the meantime I will continue to enjoy the simplicity that Elementary OS is currently bringing my desktop Linux computing life.